Crates.io has many useful libraries for a variety of purposes, but it's difficult to find which crates are meant for a particular purpose and then to decide among the available crates which one is most suitable in a particular context. Categorization and badges are coming to crates.io; categories help with finding a set of crates to consider and badges help communicate attributes of crates. This RFC aims to create a default ranking of crates within a list of crates that have a category or keyword in order to make a recommendation to crate users about which crates are likely to deserve further manual evaluation. Finding and evaluating crates can be time consuming. People already familiar with the Rust ecosystem often know which crates are best for which puproses, but we want to share that knowledge with everyone. For example, someone looking for a crate to help create a parser should be able to navigate to a category for that purpose and get a list of crates to consider. This list would include crates such as nom and peresil, and the order in which they appear should be significant and should help make the decision between the crates in this category easier. This helps address the goal of "Rust should provide easy access to high quality crates" as stated in the Rust 2017 Roadmap. 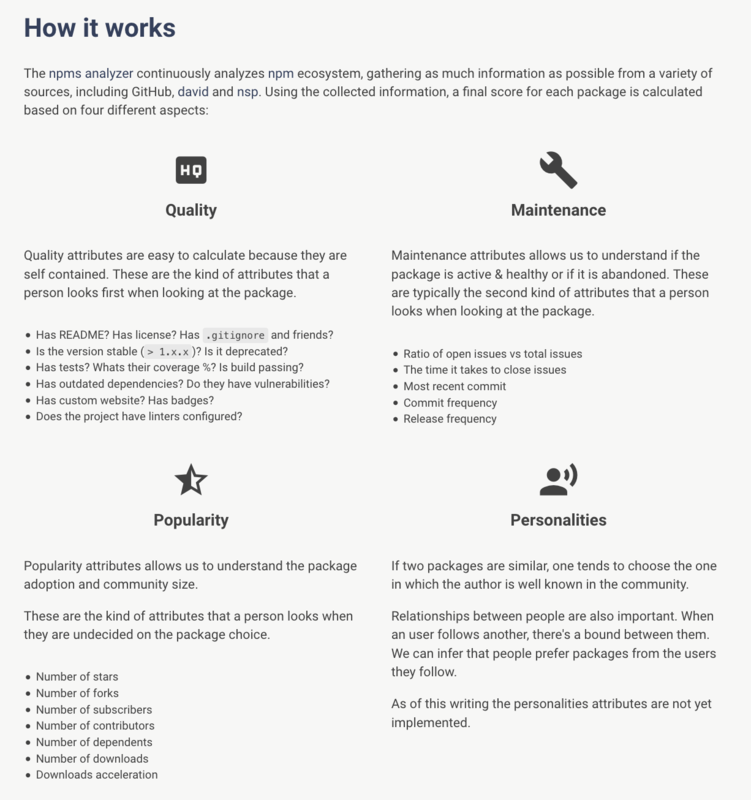 Please see the Appendix: Comparative Research section for ways that other package manager websites have solved this problem, and the Appendix: User Research section for results of a user research survey we did on how people evaluate crates by hand today. Measures that can be made automatically are preferred over measures that would need administrators, curators, or the community to spend time on manually. Measures that can be made for any crate regardless of that crate's choice of version control, repository host, or CI service are preferred over measures that would only be available or would be more easily available with git, GitHub, Travis, and Appveyor. Our thinking is that when this additional information is available, it would be better to display a badge indicating it since this is valuable information, but it should not influence the ranking of the crates. There are some measures, like "suitability for the current task" or "whether I like the way the crate is implemented" that crates.io shouldn't even attempt to assess, since those could potentially differ across situations for the same person looking for a crate. We assume we will be able to calculate these in a reasonable amount of time either on-demand or by a background job initiated on crate publish and saved in the database as appropriate. We think the measures we have proposed can be done without impacting the performance of either publishing or browsing crates noticeably. If this does not turn out to be the case, we will have to adjust the formula. Through the iterations of this RFC, there was no consensus around a way to order crates that would be useful, understandable, resistent to being gamed, and not require work of curators, reviewers, or moderators. Furthermore, different people in different situations may value different aspects of crates. Instead of attempting to order crates as a majority of people would rank them, we propose a coarser measure to expose the set of crates worthy of further consideration on the first page of a category or keyword. At that point, the person looking for a crate can use other indicators on the page to decide which crates best meet their needs. The default ordering of crates within a keyword or category will be changed to be the number of downloads in the last 90 days. While coarse, downloads show how many people or other crates have found this crate to be worthy of using. By limiting to the last 90 days, crates that have been around the longest won't have an advantage over new crates that might be better. Crates that are lower in the "stack", such as libc, will always have a higher number of downloads than those higher in the stack due to the number of crates using a lower-level crate as a dependency. Within a category or keyword, however, crates are likely to be from the same level of the stack and thus their download numbers will be comparable. change the sort option button to say "Recent Downloads". "All-time Downloads" could become another sort option in the menu, alongside "Alphabetical". Crates.io now has badges for master branch CI status, and will soon have a badge indicating the version(s) of Rust a particular version builds successfully on. To enable a person to narrow down relevant crates to find the one that will best meet their needs, we will add more badges and indicators. Badges will not influence crate ordering. 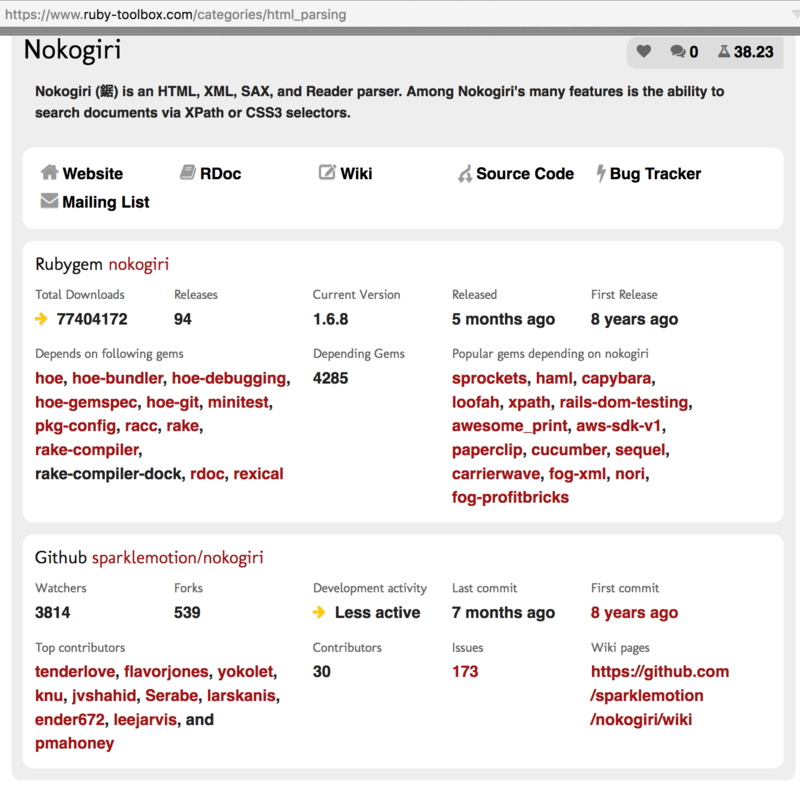 Some badges may require use of third-party services such as GitHub. We recognize that not everyone uses these services, but note a specific badge is only one factor that people can consider out of many. By far, the most common attribute people said they considered in the survey was whether a crate had good documentation. Frequently mentioned when discussing documentation was the desire to quickly find an example of how to use the crate. This would be addressed in two ways. Render README files on a crate's page on crates.io so that people can quickly see for themselves the information that a crate author chooses to make available in their README. We can nudge towards having an example in the README by adding a template README that includes an Examples section in what cargo new generates. We would then add the lines in the README to the lines of documentation, subtract the lines of documentation from the total lines of code, and divide the lines of documentation by the lines of non-documentation in order to get the ratio of documentation to code. Test code (and any documentation within test code) is part of this calculation. Any crate getting in the top 20% of all crates would get a badge saying "well documented". This measure is gameable if a crate adds many lines that match the documentation regex but don't provide meaningful content, such as /// lol. While this may be easy to implement, a person looking at the documentation for a crate using this technique would immediately be able to see that the author is trying to game the system and reject it. If this becomes a common problem, we can re-evaluate this situation, but we believe the community of crate authors genuinely want to provide great documentation to crate users. We want to encourage and reward well-documented crates, and this outweighs the risk of potential gaming of the system. If we assume these are all the crates on crates.io for this example, then combine is the top 20% and would get a badge. We will add a way for maintainers to communicate their intended level of maintenance and support. We will add indicators of issues resolved from the various code hosting services. New features are being added and bugs are being fixed. There are no plans for new features, but the maintainer intends to respond to issues that get filed. The crate is feature complete, the maintainer does not intend to continue working on it or providing support, but it works for the purposes it was designed for. We display nothing. Since the maintainer has not chosen to specify their intentions, potential crate users will need to investigate on their own. The author wants to share it with the community but is not intending to meet anyone's particular use case. The current maintainer would like to transfer the crate to someone else. These would be displayed as badges on lists of crates. These levels would not have any time commitments attached to them-- maintainers who would like to batch changes into releases every 6 months could report "actively developed" just as much as mantainers who like to release every 6 weeks. This would need to be clearly communicated to set crate user expectations properly. This is also inherently a crate author's statement of current intentions, which may get out of sync with the reality of the crate's maintenance over time. 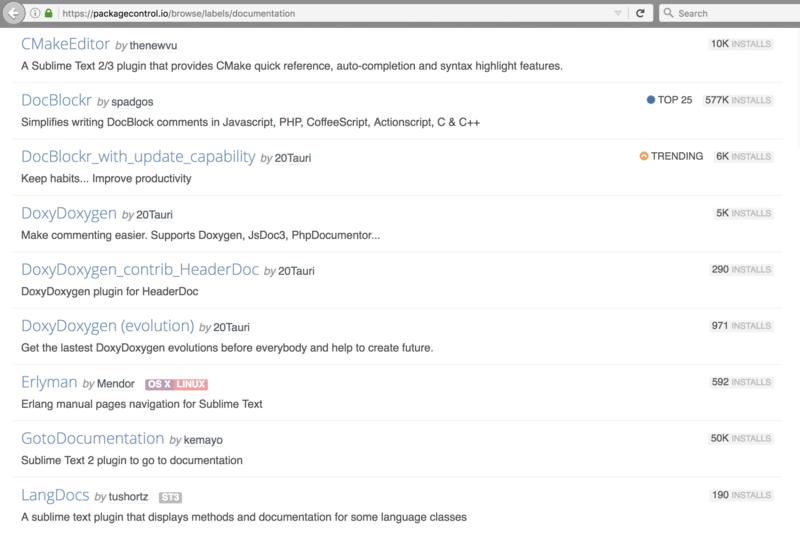 isitmaintained.com provides badges indicating the time to resolution of GitHub issues and percentage of GitHub issues that are open. We will enable maintainers to add these badges to their crate. We will enable maintainers to add Coveralls badges to indicate the crate's test coverage. If there are other services offering test coverage reporting and badges, we will add support for those as well, but this is the only service we know of at this time that offers code coverage reporting that works with Rust projects. This excludes projects that cannot use Coveralls, which only currently supports repositories hosted on GitHub or BitBucket that use CI on Travis, CircleCI, Jenkins, Semaphore, or Codeship. We have an idea for a "favorite authors" list that we think would help indicate credibility. With this proposed feature, each person can define "credibility" for themselves, which makes this measure less gameable and less of a popularity contest. This proposal is not advocating to change the default order of search results; those should still be ordered by relevancy to the query based on the indexed content. 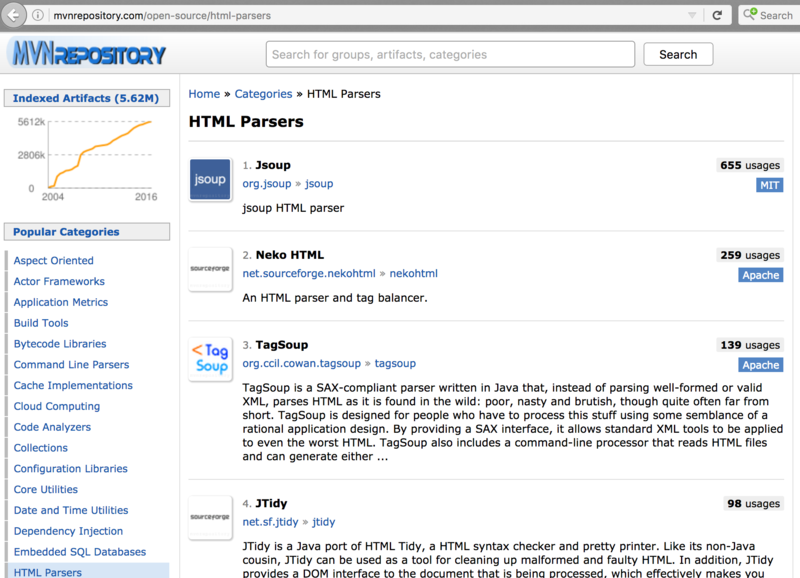 We will add the ability to sort search results by recent downloads. If ordering by number of recent downloads and providing more indicators is not helpful, we expect to get bug reports from the community and feedback on the users forum, reddit, IRC, etc. In the community survey scheduled to be taken around May 2017, we will ask about people's satisfaction with the information that crates.io provides. If changes are needed that are significant, we will open a new RFC. If smaller tweaks need to be made, the process will be managed through crates.io's issues. We will consult with the tools team and core team to determine whether a change is significant enough to warrant a new RFC. We will change the label on the default ordering button to read "Recent Downloads" rather than "Downloads". Badges will have tooltips on hover that provide additional information. We will also add a page to doc.crates.io that details all possible indicators and their values, and explains to crate authors how to configure or earn the different badges. We might create a system that incentivizes attributes that are not useful, or worse, actively harmful to the Rust ecosystem. For example, the documentation percentage could be gamed by having one line of uninformative documentation for all public items, thus giving a score of 100% without the value that would come with a fully documented library. We hope the community at large will agree these attributes are valuable to approach in good faith, and that trying to game the badges will be easily discoverable. We could have a reporting mechanism for crates that are attempting to gain badges artificially, and implement a way for administrators to remove badges from those crates. 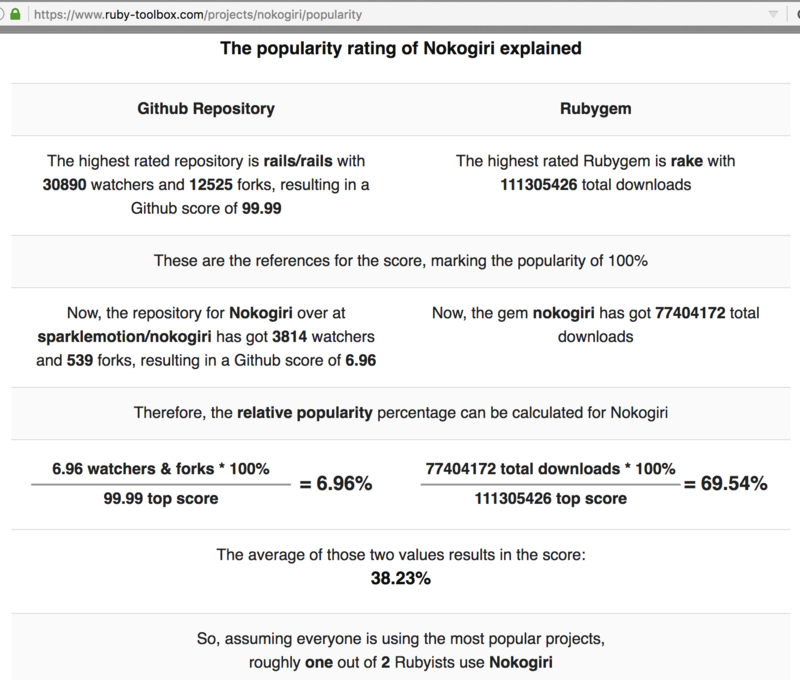 We could keep the default ranking as number of downloads, and leave further curation to sites like Awesome Rust. 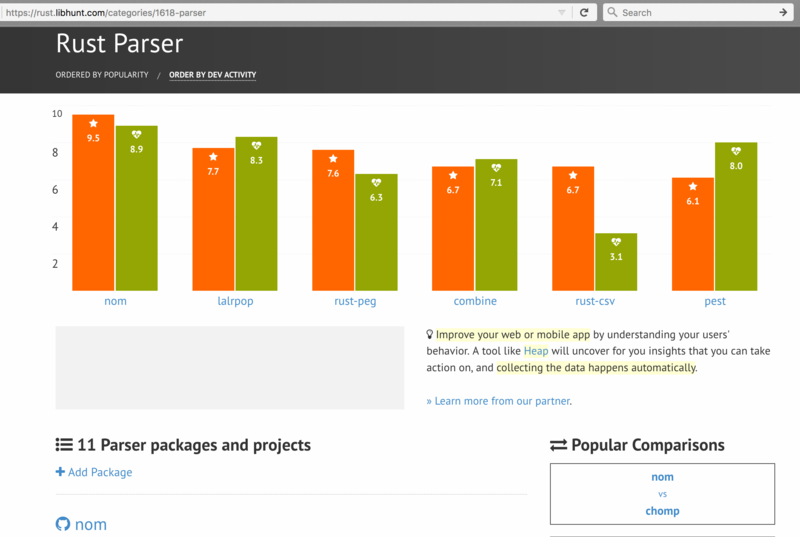 We could build entirely manual ranking into crates.io, as Ember Observer does. This would be a lot of work that would need to be done by someone, but would presumably result in higher quality evaluations and be less vulnerable to gaming. We could add user ratings or reviews in the form of upvote/downvote, 1-5 stars, and/or free text, and weight more recent ratings higher than older ratings. This could have the usual problems that come with online rating systems, such as spam, paid reviews, ratings influenced by personal disagreements, etc. We could add filtering options for metadata, so that each user could choose, for example, "show me only crates that work on stable" or "show me only crates that have a version greater than 1.0". We could add independent axes of sorting criteria in addition to the existing alphabetical and number of downloads, such as by number of owners or most recent version release date. We would probably want to implement saved search configurations per user, so that people wouldn't have to re-enter their criteria every time they wanted to do a similar search. All questions have now been resolved. 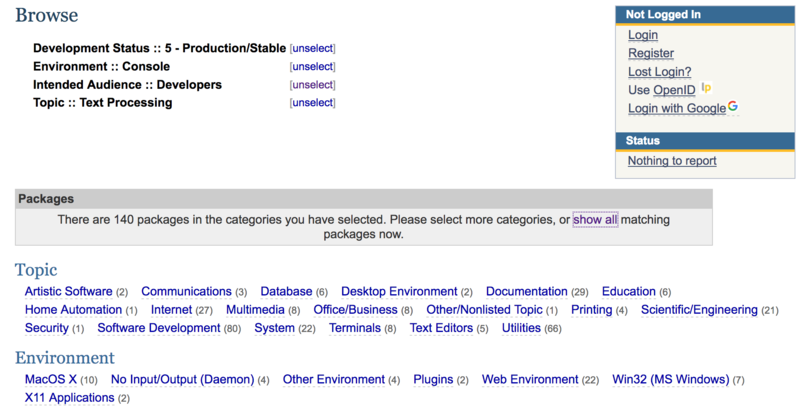 This is how other package hosting websites handle default sorting within categories. 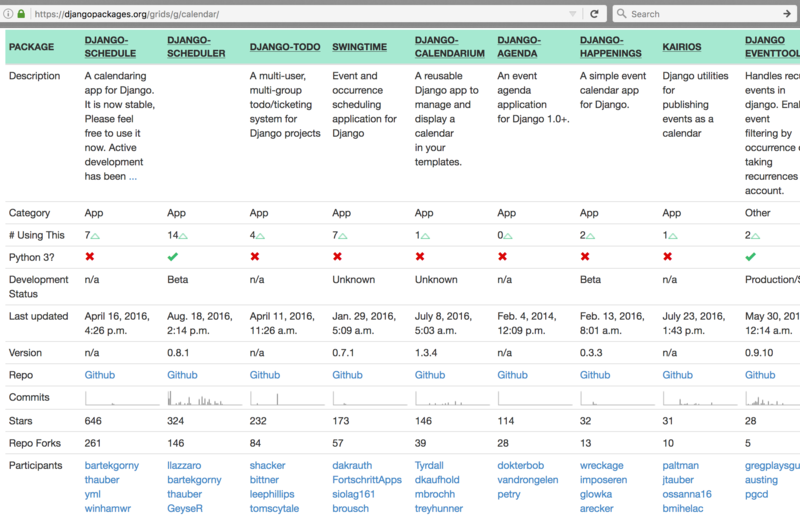 Django Packages has the concept of grids, which are large tables of packages in a particular category. 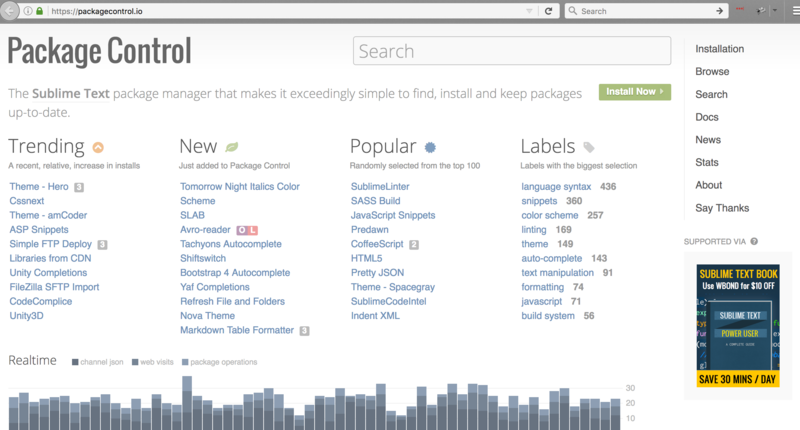 Each package is a column, and each row is some attribute of packages. The default ordering from left to right appears to be GitHub stars. 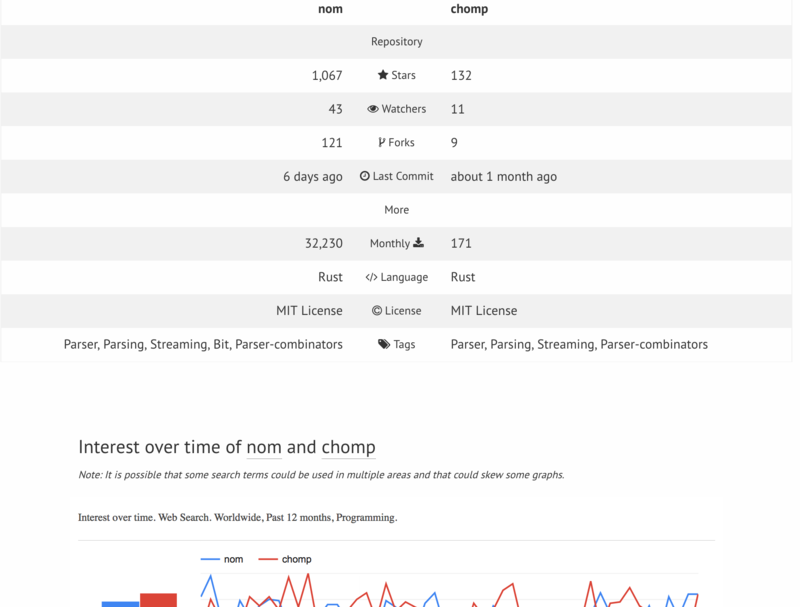 Libhunt pulls libraries and categories from Awesome Rust, then adds some metadata and navigation. The default ranking is relative popularity, measured by GitHub stars and scaled to be a number out of 10 as compared to the most popular crate. The other ordering offered is dev activity, which again is a score out of 10, relative to all other crates, and calculated by giving a higher weight to more recent commits. Once you've selected categories and click the "show all" packages in these categories link, the packages are in alphabetical order... but the alphabet starts over multiple times... it's unclear from the interface why this is the case. 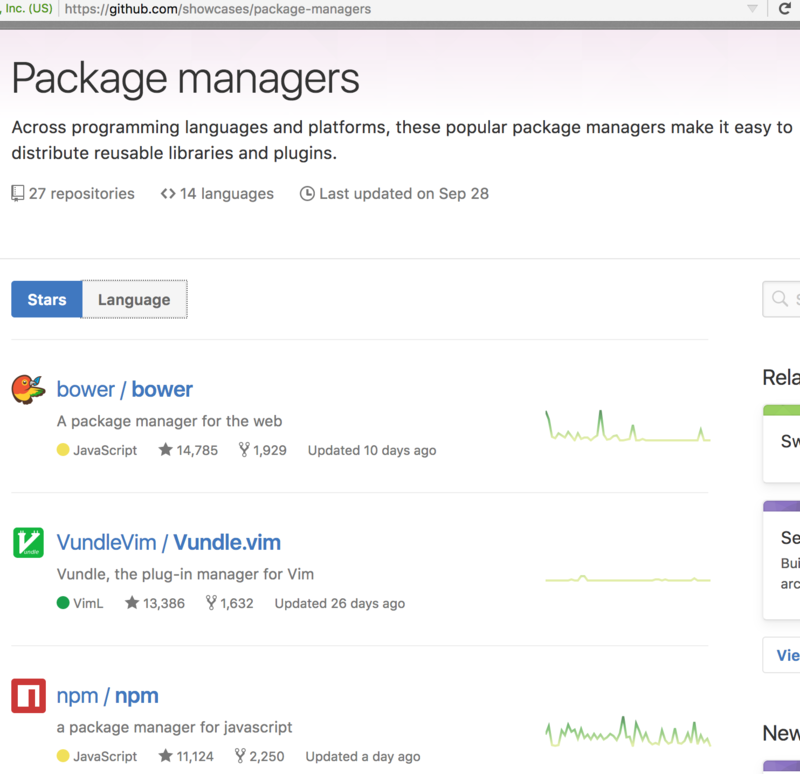 To get incredibly meta, GitHub has the concept of showcases for a variety of topics, and they have a showcase of package managers. 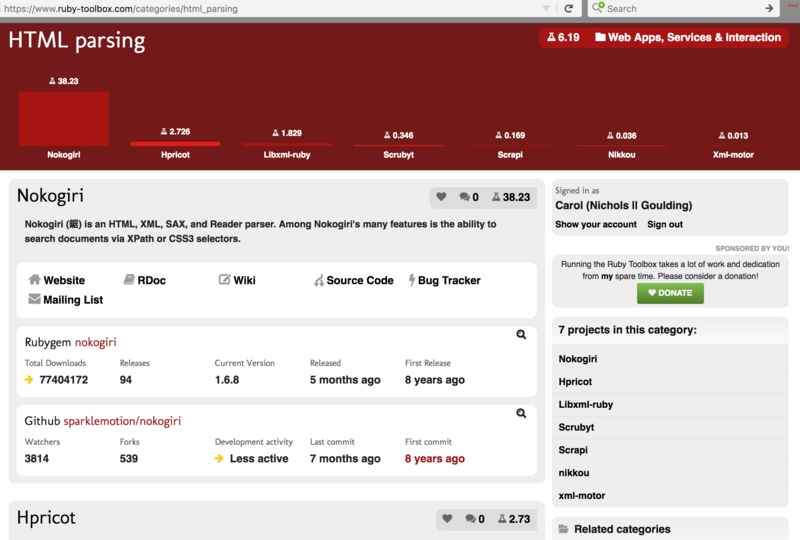 The default ranking is by GitHub stars (cargo is 17/27 currently). There are many factors that go into the three scores, and more are planned to be added in the future. Implementation details are available in the architecture documentation. We ran a survey for 1 week and got 134 responses. 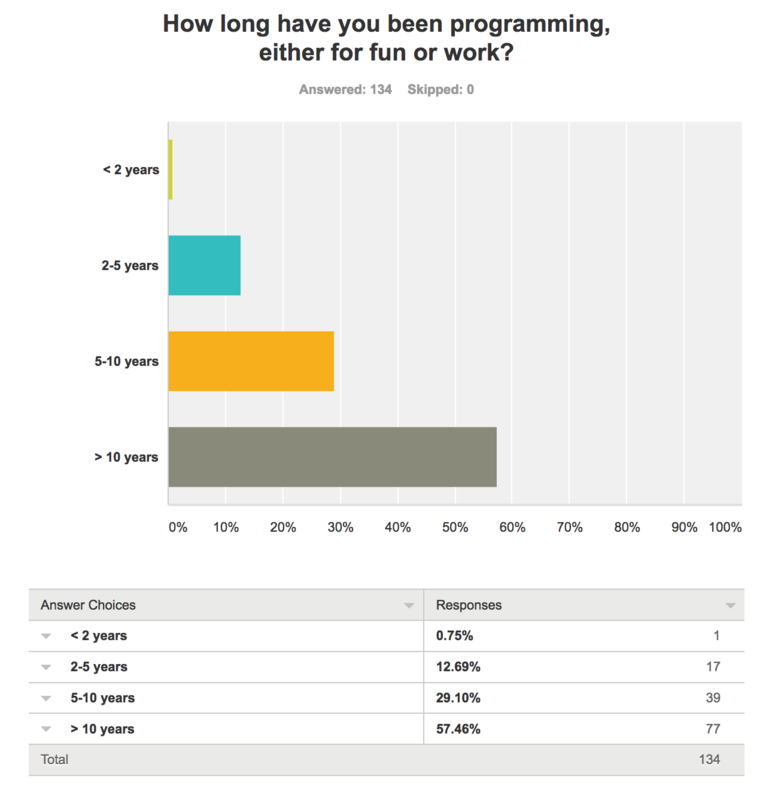 The responses we got seem to be representative of the current Rust community: skewing heavily towards more experienced programmers and just about evenly distributed between Rust experience starting before 1.0, since 1.0, in the last year, and in the last 6 months, with a slight bias towards longer amounts of experience. 0 Graydons responded to the survey. 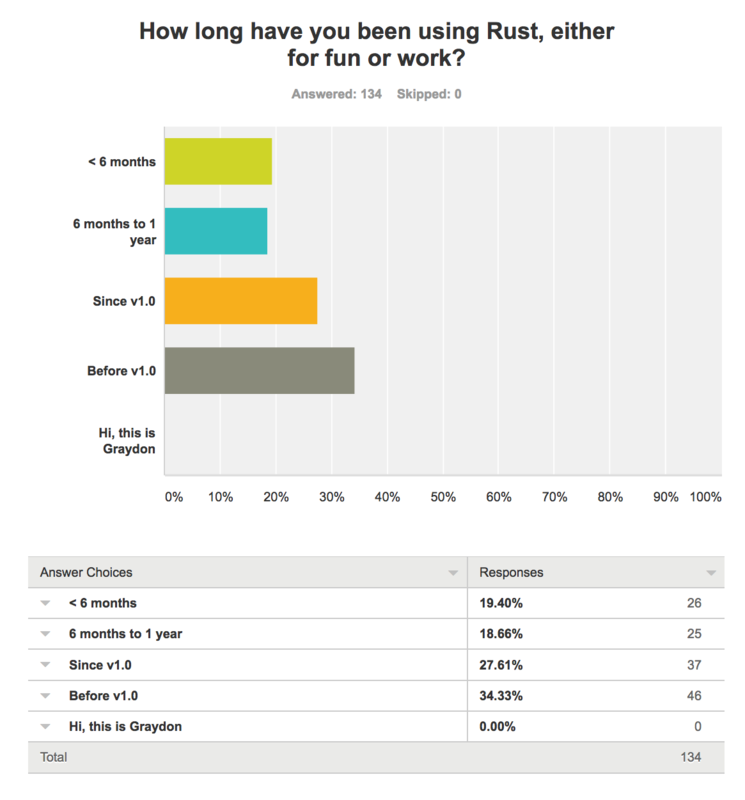 Since this matches about what we'd expect of the Rust community, we believe this survey is representative. Given the bias towards more experience programming, we think the answers are worthy of using to inform recommendations crates.io will be making to programmers of all experience levels. 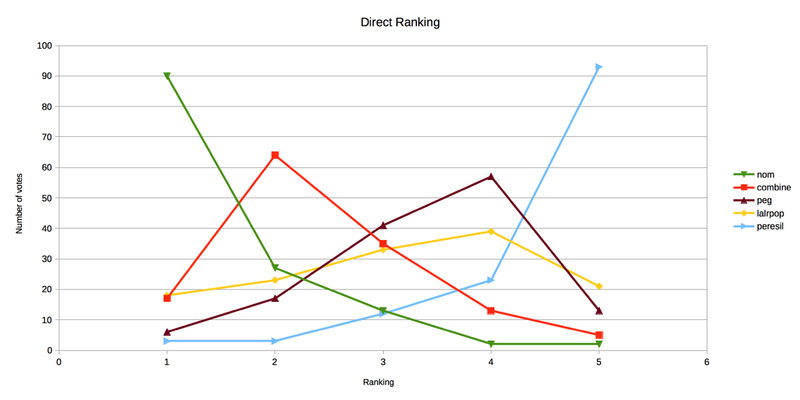 This chart shows the cumulative number of votes: each slot contains the number of votes each crate got for that ranking or above. Whatever default ranking formula we come up with in this RFC, when applied to these 5 crates, it should generate an order for the crates that aligns with the community ordering. Also, not everyone will agree with the crates.io ranking, so we should display other information and provide alternate filtering and sorting mechanisms so that people who prioritize different attributes than the majority of the community will be able to find what they are looking for. The following table shows the top 25 mentioned factors for the two free answer sections. We asked both "Please explain what information you used to evaluate the crates and how that information influenced your ranking." and "Was there any information you wish was available, or that would have taken more than 15 minutes for you to get? 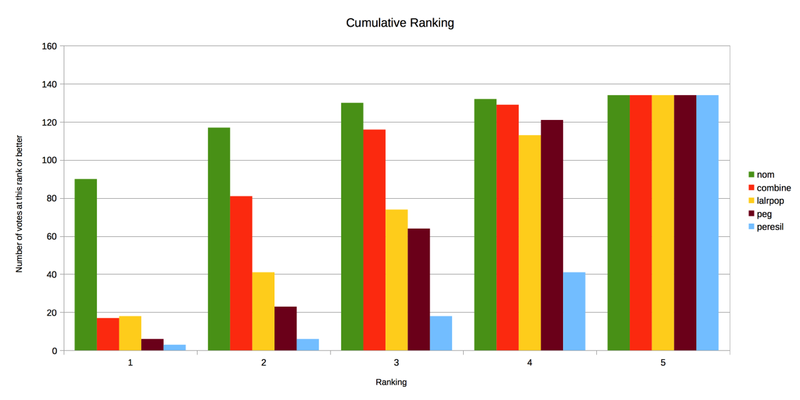 ", but some of the same factors were deemed to take too long to find out or not be easily available, while others did consider those, so we've ranked by the combination of mentions of these factors in both questions. Far and away, good documentation was the most mentioned factor people used to evaluate which crates to try. "Docs Coverage" info - I'm not sure if there's a way to get that right now, but this is almost more important that test coverage. rust docs: Is there an intro and example on the top-level page? are the rustdoc examples detailed enough to cover a range of usecases? can i avoid reading through the files in the examples folder? Is there a README? Does it give me example usage of the library? Point me to more details? Does the documentation appear to be up to date? 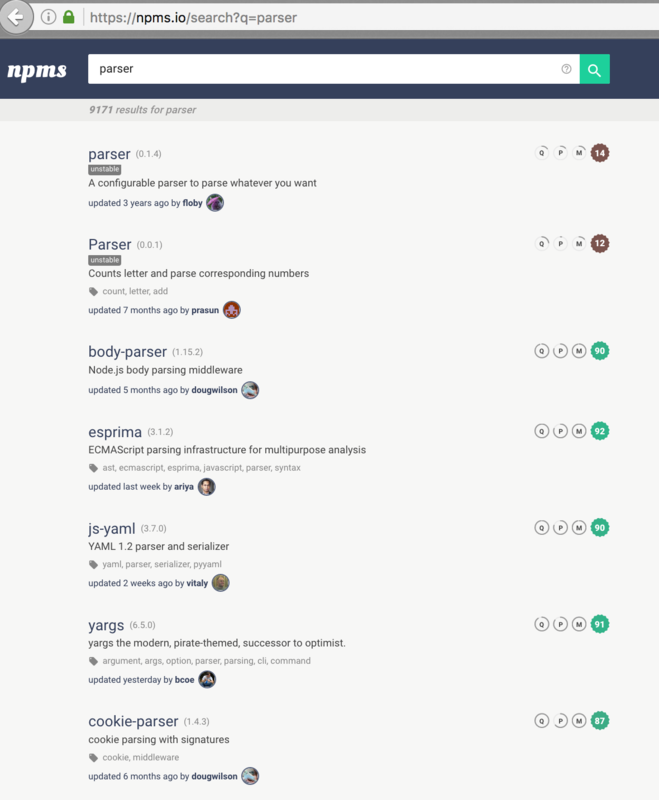 The GitHub repository pages, because there are no examples or detailed descriptions on crates.io. From the GitHub readme I first checked the readme itself for a code example, to get a feeling for the library. 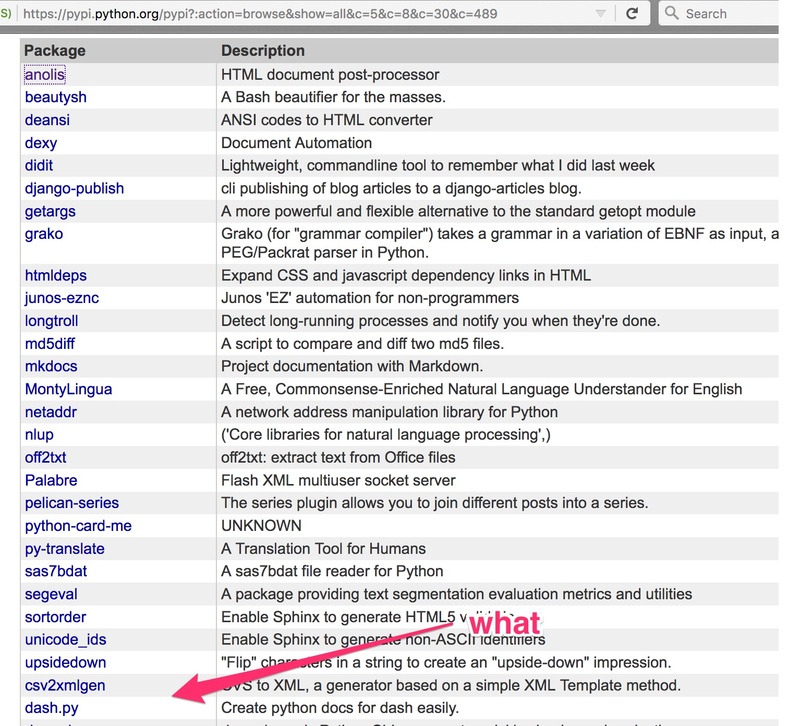 Then I looked for links to documentation or tutorials and examples. The crates that did not have this I discarded immediately. When evaluating any library from crates.io, I first follow the repository link -- often the readme is enough to know whether or not I like the actual library structure. For me personally a library's usability is much more important than performance concerns, so I look for code samples that show me how the library is used. In the examples given, only peresil forces me to look at the actual documentation to find an example of use. I want something more than "check the docs" in a readme in regards to getting started. there should be indicator in Crates.io that show how much code is documented, this would help with choosing well done package. I really love this idea! Showing a percentage or a little progress bar next to each crate with the proportion of public items with at least some docs would be a great starting point. On nom's crates.io page I checked the version (2.0.0) and when the latest version came out (less than a month ago). I know that versioning is inconsistent across crates, but I'm reassured when a crate has V >= 1.0 because it typically indicates that the authors are confident the crate is production-ready. I also like to see multiple, relatively-recent releases because it signals the authors are serious about maintenance. Answering yes scores points: crates.io page: Does the crate have a major version >= 1? Has there been a release recently, and maybe even a steady stream of minor or patch-level releases? Is critical functionality well tested? Is the entire package well tested? Are the tests clear and descriptive? Could I reimplement the library based on these tests? Does the project have CI? I look at the number of download. If it is too small (~ <1000), I assume the crate has not yet reached a good quality. nom catches my attention because it has 200K download: I assume it is a high quality crate. Popularity: - Although not being a huge factor, it can help tip the scale when one is more popular or well supported than another when all other factors are close. I can't pick a most important trait because certain ones outweigh others when combined, etc. I.e. number of downloads is OK, but may only suggest that it's been around the longest. Same with number of dependent crates (which probably spikes number of downloads). I like a crate that is well documented, has a large user base (# dependent crates + downloads + stars), is post 1.0, is active (i.e. a release within the past 6 months? ), and it helps when it's a prominent author (but that I feel is an unfair metric).